Every seafarer must apply the Convention on the International Regulations for Preventing Collisions at sea, Colregs in short. The Rules themselves and their interpretation are applicable to everyone regardless of training and kind of vessel. This book contains many pictures and 3D-illustrations of the lights on different vessels to exemplify the meaning of these lights. The reader will become familair with priority rules by studying the views from above and from the bridges of the vessels. 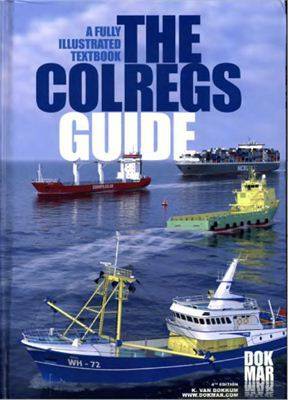 This book is invaluable for home study at every level of professional training and an appropriate aid for yachtsmen who want to familiarize themselves with navigation lights and the Regulations for Preventing Collision.